Italian musician. He began his career in late 1970s with the “New Wave” movement, in the 1980s he performed electronic music. 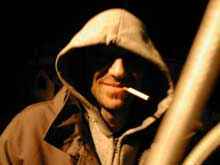 In the early 1990s he debuted as a musician/producer/sound engineer with several bands in Bologna, for example with Aeroplanitaliani who won with “Zitti Zitti” the Sanremo Festival Critics Award 1992. Producer and co-producer with artists such as Neffa and Sud Sound System, and for Irma Records, for DJ Rodriguez, Bossa Nostra, Gazzara or Colle Der Fomento. In 2002 he founded his music company One Eyed Fish with Ninfa.